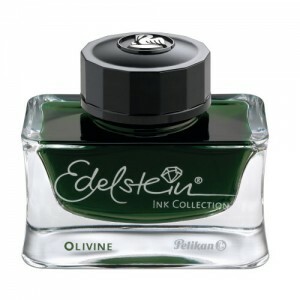 The Edelstein Ink collection contains seven beautiful colors with a special ingredient that ensures extra smooth writing and care for fountain pens. The Edelstein Ink collection contains seven beautiful colors with a special ingredient that ensures extra smooth writing and care for fountain pens. Each 50ml high-value glass falcon glass bottle is unique and would be a beautiful addition to any desk.